This stately home, which is currently known as “Park Place” and formerly known as “The American Legion Hall” was originally the home of Louis and Mayme Randall. In 1926, wealthy box manufacturer and prominent horseman, Louis E. Randall purchased the 37 acre Calbow farm located at the northwest corner of Woodstock and Oak Streets. The Calbow house, barn and other farm buildings were included in the sale. It was Randall’s plan to move the existing house on the property and construct a beautiful new home at the corner which was in keeping with his status and his lifestyle. Mr. Randall also had plans to build a half-mile track on a portion of his land, and bring his string of trotting horses, some of which held world’s records, to Crystal Lake. Randall’s horses competed in races across the country, bringing home medals, ribbons, and hefty prize earnings. The final completion date of the Randall House is unclear, although the family was most definitely settled in, living there by May, 1930—the time of the 1930 census. Louis Randall, his wife Mayme, and their niece Helen are listed as residents. The Randalls also kept an apartment on Sheridan Road in Chicago. In the Fall of 1930, Mr. Randall became ill and was forced to retire from business. He moved from his Crystal Lake house, deciding to spend the winter in Chicago. Despondent over his illness, Louis Randall committed suicide in April, 1931 at the age of 67. His wife, Mayme found him when she returned from church. Louis was lying on the kitchen floor of the apartment with all the burners in the gas range open. Mayme and her niece Helen remained living in Crystal Lake for several years. 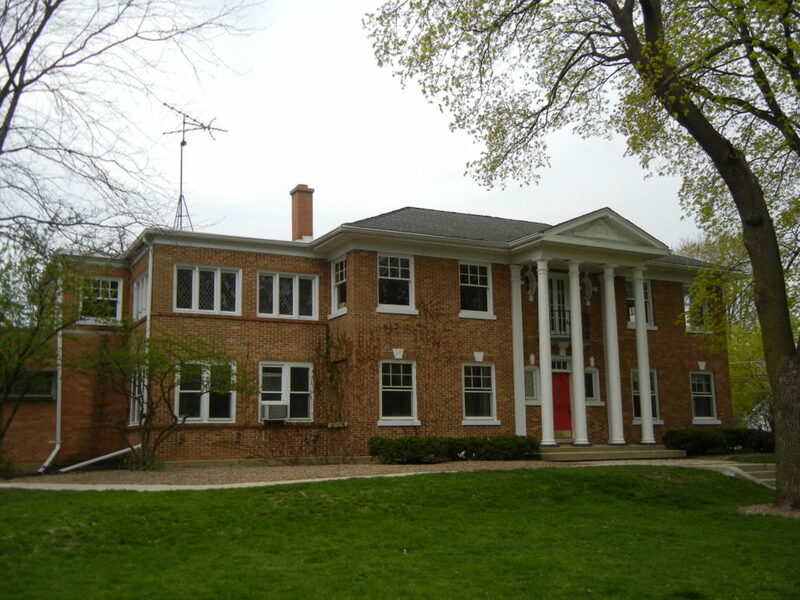 In 1937, the property was sold to Alvin E. Sweiberg, who was a plant superintendent for Oak Industries. Ed Bessey, the owner of Oak Industries may have also been involved with this transaction, as ten years later, Bessey was involved in the sale of the Randall House to the American Legion. 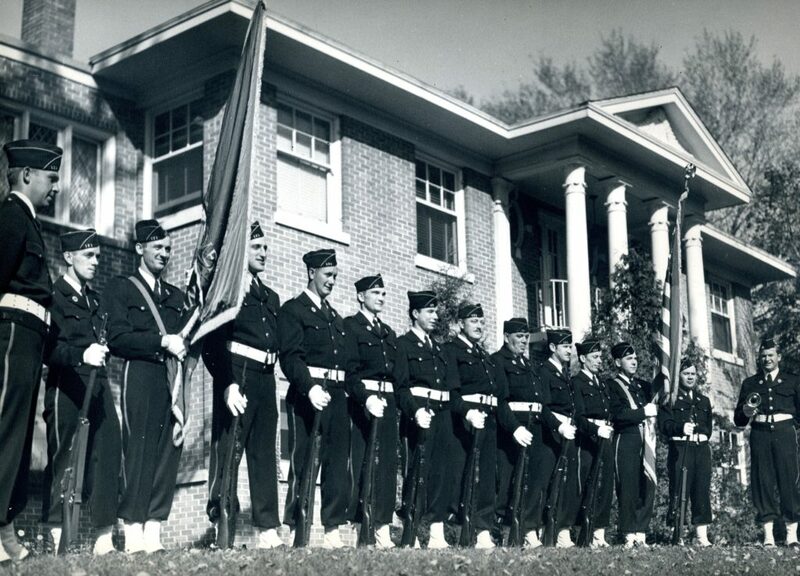 In 1946, the Crystal Lake American Legion Post #171 purchased the Randall House and 2.75 acres of land from Ed Bessey. The Legion volunteers immediately set to work to clean up the house use it as a meeting place and community center.